It’s been about four years since this site last had a design refresh, and it’s high time it did! Version five really hasn’t changed much over the four years since its launch, and it’s looking a little stale. So today I bring you, the sixth major revision of Webmaster-Source. The new design makes use of fun new CSS3 features, like linear gradients, box shadows, and variable opacities. I also worked a bit to improve the legibility of the main content, which really stands out when you compare the two revisions. I think I achieved a greater level of polish overall, though there’s still room for improvement. Let’s take a look at some of the new features added in the redesign. 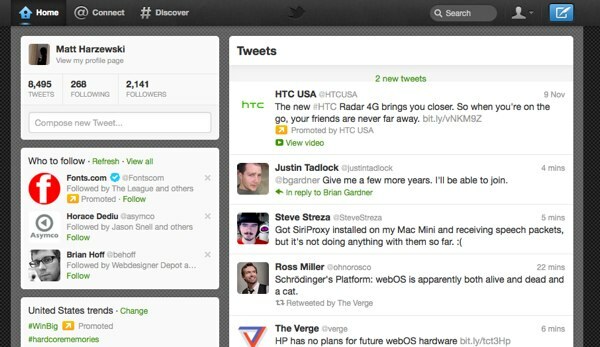 Starting Thursday, Twitter began rolling out their latest redesign, dubbed “New New Twitter” by users. The new design looks okay, albeit a bit heavy on the boxes, but some of the changes it brings aren’t so welcome. It seems to me as if Twitter is slowly strangling the brilliant simplicity that made it unique and successful, and making the service more and more like Facebook. The first change that irks me is the new Connect screen, which replaces the Mentions tab. Instead of getting a listing of replies or tweets mentioning your username, you get something closer to a Facebook feed. The stream is cluttered with messages along the lines of “Mr. Follower and 6 others are now following you. Isn’t that great?” Oh, and anytime someone retweets one of your updates, it goes in there too. You can still get to the Mentions timeline, but it requires a second click. I imagine it’s even more “useful” if you have a half million followers. Once again, Envato has redesigned their Tuts+ blogs. The changes are primarily evolutionary, though there is a big difference. The new layout features a wider content area and a stronger focus on larger screen sizes. One of the first things I noticed was that the sites’ advertisement strategy seems to have been rethought. There are no more large leaderboard or 250×250 banners; instead, there are only 125×125 banners. They sit at the top of the narrow sidebar and run down the side of the page in a single column. It actually looks pretty good. They’re out of the way, yet still visible enough to be sought after by potential advertisers. Smashing Magazine has redesigned again, further evolving their visual style rather than throwing away the old completely, but still bringing some new and interesting features into play. It’s still as ad-heavy as before, but that can be expected. At a glance, the navigational header present in the previous incarnation is bigger and more pronounced, and the search box has been moved there to be more prominent. The classic “We smash you with the information that will make your life easier. Really,” line has been removed from under the logo. I’m not sure if there is any significance to this other than making things look a little cleaner, but it will be missed. 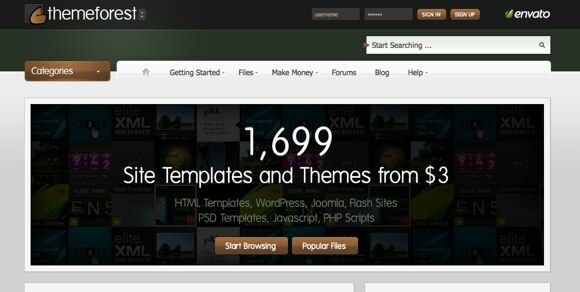 Envato launched the redesigns for their marketplace sites last Sunday. They all look pretty much the same, save for some color and logo differences, so I’ll just focus on ThemeForest here. 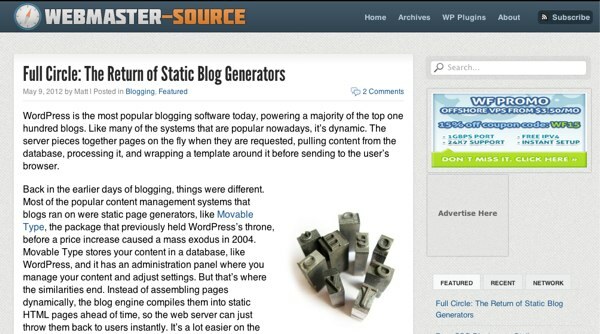 I’ve reviewed Pro Blog Design‘s theme at least once before, probably twice. Now that Michael Martin’s design blog is entering its third year, it has received yet another redesign. Usability Post has undergone its first major redesign. The new theme looks good, having a somewhat more unique look than the old one. Welcome to the fifth iteration of Webmaster-Source.com! As you may have noticed, the latest redesign has been completed and is now up for everyone to see. The new design is a lot less…bland than the previous. At the same time, though, it’s a lot cleaner, or so I’ve tried to make it. The goal was to cut out the clutter and make things look less plain, and I think I’ve done a decent job at it. You can decide for yourself what you think, though.